Caseyâs short-lived return to the real world is followed by a rapid scramble back to Lorealia to tackle Dovetail and more of his mischief. This time, itâs a family affair â not just to save the missing godmothers, but to rescue her sister Leslie as well. Snow White is now Snow Leslie, trapped in an off-script fairy tale thatâs doomed to spiral into a never ever after with the rest of Lorealia if Casey, her father, and Charlie-boy fail their mission to stop a war. Donât miss this final installment of the exciting Fable Ranger duology. Twelve-year-old Casey doesnât think life could get any more unfair. Plans for her special basketball tournament are tossed aside by her sisterâs wedding plans. She even has to be a bridesmaid now, with all the lace and silk andâoh, the horror! All she wants is an escape, but she never imagined sheâd be swept away to a world of Mother Goose rhymes, fairy tales, stories of Arabian Nights, and oh, by the way, all but one fairy godmother has been kidnapped. Casey learns sheâs been summoned as the Fable Ranger to lead the search and rescue of the missing wish-makers. But sheâs not the hero they want. In the world of fairy tales, damsels arenât meant to swoop in and save the day. Now all Casey wants is to go home, but the veil between worlds is on lockdown. Taking fate into her own hands, she embarks on an airship flight to find the phoenix tears that can open her way home. Her journey wouldâve gone as smooth as the perfect layup if it werenât for that pesky bounty the evil Dovetail has placed on her head. But if Casey fails, the Arabian Nights will disappear foreverâand leave her trapped in a world unraveling one fairy tale at a time. Explaining things would be hard, but I had to make them understand. No telling what evil plans Dovetail had brewing â worse yet if heâd already put them into action. I didnât know why he wanted to bring Lorealia to some spiraling, awful happily never after, but he seemed bent on making it so. Dad and I needed to get back there quick, fast, and in a major hurry to keep it from happening. âIsnât that the book you read to us all the time, Dad?â Leslie asked, interrupting me. 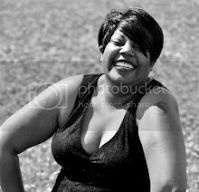 âThe one with the Mother Goose rhymes, fairy tales, all kinds of legends, and everything? Thatâs just a book.â She waved her hand, dismissing my words. Angela Brown is a lover of books - from classics to steampunk and everything in between. She's published Neverlove and They All Fall Down of the Shadow Jumpers series, Frailties of the Bond and Atone of the NEO Chronicles, and Beacon, a YA urban fantasy dystopian published by Evernight Teen publishing. As A.L. 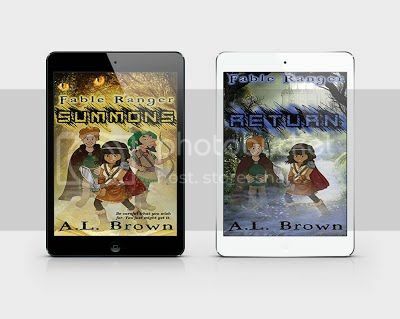 Brown, she dove into the world of middle-grade storytelling with the release of Fable Ranger Summons via Dingbat Publishing, an MG fairy tale mash-up where it takes more than a wish to keep the legends of Arabian Nights and Sleeping Beauty from spiraling into disastrous never ever afters. 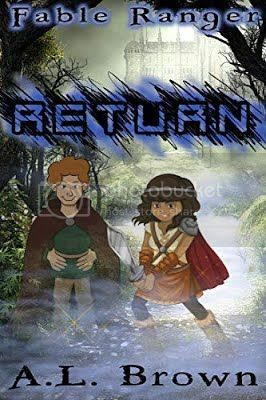 This tale concludes with its now available sequel, Fable Ranger Return, where tackling Dovetailâs mischief and saving missing godmothers becomes a family affair.